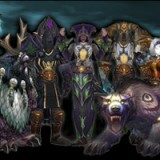 Please register and login and post your alliance application here. Hello and thanks for your interest in LIGHTNING! We have tried to make our recruitment process as easy as possible but recognize that for someone selecting a guild it is as much about you finding out about us as it is us finding out about you. And that's what we are trying to achieve. We do encourage social applications as well as applications to raid with us. Some of the following applies only to raid members, such as minimum raid attendance. Social applicants must still use the form below and follow the guidelines. IMPORTANT: Players who have obviously not read AND understood these application guidelines and our guild charter will be declined immediately. So please read them attentively. > You don't cheat, spam, buy gold, sell gold. Obviously WoW GameTime Tokens are fine! > You are able and want to raid from 22:00ST to 00:00ST at least 1 time a week. > You are able to speak and understand English fluently. > We understand that there are more important things in life than World of Warcraft. > And best of all!.. A guild Tabard! 1) The first step is to read our Guild Charter As a group we spent a fair bit of time making sure the charter reflects the guilds we want to be and the people we are. Read it and figure out if you like what you see. You must agree to this charter. Any questions regarding it, please contact a LIGHTNING Officer on ether server. The next step is to check if we are in need of your specific class and spec at the moment, see Recruitment Needs. If so, your chances of a positive response is a lot higher. But even if your class is not on the list at the moment, feel free to apply anyway, extraordinary players and people are always welcome, no matter which class and spec they have. 3 - Contact an officer - Third step is to have a chat with our officer's in game or send him a personal message on this forum (You will have to signup first to do this). He will take the time to chat with you and find out a bit more about who you are and why you want to join LIGHTNING. Be sure to ask any questions you feel to be important about the guilds and how we operate. We will also be able to tell you straight away, if you do not fit any of the basic requirements and are therefore not able to join Lightning. 5 - post an application on the "Join Lightning" board. To make it easy we ask that everyone copies and pastes the following template. 6 - If you would like your application to stay private, feel free to message one of our officers with your application through the forum mail system. We will make sure it stays on our internal boards so that only our members can see it. 1: How old are you? 2: Can you actually attend our raid times 22.00 - 00.00 server time ? 3: How many a week do you expect to attend? We expect a minimum of 1. 4: Do you know anyone from the guild, if so, who? 5: If we accepted you, have you got anything in the near future that will mean you will be going AFK? 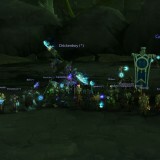 6: Contact name on Kilrogg or BattleTag if on another realm. 10: What Warcraft raid experience do you have? Please be as detailed as possible, include any level of raiding (Molten Core, Sunwell, anything). Specifically how much of Legion have you experienced? 11: Why do you want to join Lightning? 12: What will you bring to the guild? 13: What were your previous guilds? Why did you leave/were kicked? 14: Are you applying to any other guilds at this moment in time? 16: Usual average latency ? 17: Is it stable ? 6 - Feedback & Decision - Soon after you have posted your application one of our officers will post an answer to it and tell you if it looks alright or if you should provide any additional information. We will usually look up your gear and spec on the armory and may spend some time chatting with you about it. We may well ask you questions or invite you to one of our groups to assess your suitability to join the guild. 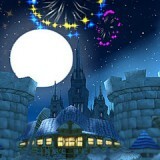 Hopefully, you will pass our scrutiny and we will invite you to the guild congratulations! 7 - Becoming a full member - We'll set you up as an Initiate which will generally last up to 2 weeks or an agreed probation period. The primary purpose is to allow us to group with you where appropriate, to have a chat with on the guild channel, and generally figure out whether you will be a good fit in our guild. And we expect you to do the same find out if this is the sort of guild you want to spend your (valuable) gaming time in. After a couple of weeks, (usually at your request) there will be a chat amongst the guild Officers and we will then let you know whether you will become a full member or not. At anytime during this period you may choose that this guild is not right for you. And that's OK with us. We will treat you with respect and hope you will do the same to us and our members. Your application is our first impression (as a guild) of what you may be like as a person and a player... so try your best to make it as good as you can. A good application may well get you noticed whereas a bad application will be turned down immediately. We want to know why you want to join us, a little about yourself, what your aims and goals are, why LIGHTNING would suit you as a player. The more effort you put into your application the better. While we have a "standard" application form that we ask all applicants to follow, please feel free to add as much about yourself that as feel is relevant. If we don't have your character class open for recruitment you can always post an open application. Exceptional applications will always be considered. Family members and real life friends of existing members are also welcome almost all of the time, even if you do not fit some of the requirements.